From Dance to Jazz, from Gospel to Heavy Metal, from Bachata to Classic, you can choose from over 400 different genres to gain access to about 45000 radio stations spread all over the planet. 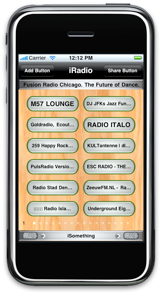 Just like a real tuner, eRadio stores your favorite stations into virtual buttons that later you can play, remove or even send them to your friends. -YouTube videos related with the song and artist. -Wikipedia information about the artist. eRadio will drive you deeply into the world of music like no other. Languages supported: English, French, German, Spanish and Italian. own language, whatever it is. •Choose from over 400 genres. •About 45 thousand radio stations in constant growth and change. •Watch YouTube videos related to the song that you're listening. •Read Wikipedia information about the artist. •Visit the radio station's web site. •The song history keeps a log of the last songs played. •Advanced users can enter radio stations manually. •Send your favorite stations to friends. 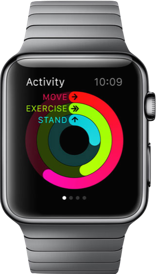 •The shake gesture performs the shuffle function in the main screen. •The shake gesture acts as start/stop in the player screen. •If the Internet connection is lost, music resumes automatically after reconnecting. Advanced users can enter radio stations manually just by typing their URL. Everything else happens automatically. eRadio does not use any external frameworks or 3rd party software. It runs by itself. 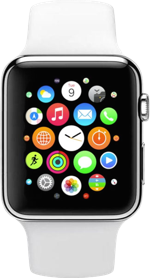 eRadio supports the new Apple Watch at no additional charge. 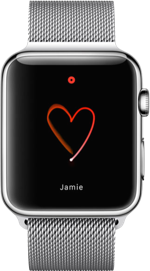 Get the eRadio´s LCD on your Apple watch. Play any of your favorite stations or tune new ones right from your watch.